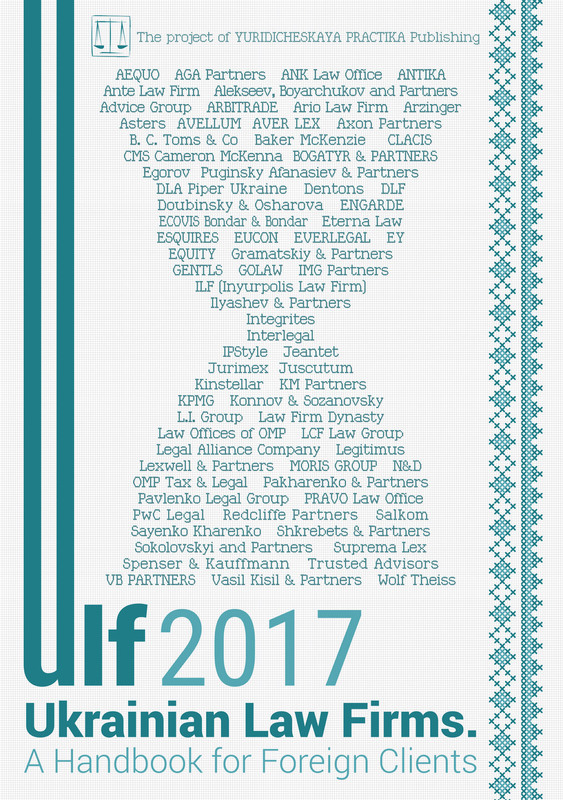 Ukrainian law does not provide for a form of a legal entity that could be regarded as a private wealth management vehicle. The concept of a “trust” or a “foundation” is not recognized in Ukraine. But as of the time of writing of this note, Ukrainian citizens and residents were not statutorily prohibited from transferring assets to foreign trusts as settlors, beneficiaries or protectors of such structures. The ownership of any assets transferred to such a structure is lost and the assets will then be considered to be owned not by the settlor of the structure but by third parties (e.g., trustees). In such a case, Ukrainian succession law does not apply. If Ukrainian citizens or residents plan to transfer their property to foreign trusts, it is recommended that certain precautions be observed. Because the concepts of “trust” and “foundation” do not exist in Ukraine, Ukrainian citizens or residents can assign their assets in Ukraine directly to a trust (or foundation) only through a foreign company. Though Ukrainian matrimonial law does not directly specify that to have any assets, being under the joint tenancy of spouses, transferred to any trust or foundation, the consent of the other spouse is required; we strongly recommend receiving such consent to avoid such transfer being challenged in court as a violation of Ukrainian family law. In addition, trustees of best practices may ask settlers to include forced heirs, if any, to the list of beneficiaries of the trust. Significant legislative developments aimed at providing economic and financial transparency have taken place since 2014. The regulation of tax, corporate and banking law underwent drastic changes in order to bring it in line with EU laws after Ukraine ratified the Association Agreement with the EU on 16 September 2014. The Government, driven by the desire to meet strict criteria of EU visa-free regime, has introduced an electronic declaration system and launched the National Agency for Prevention of Corruption. Receipt of the next tranche from the IMF is subject to further reforms such as establishing a special anti-corruption court, new financial police force and the launch of the agricultural land market. The implementation of recognised international standards and principles of business is aimed at providing clear rules for both Ukrainian businessmen and foreign investors. Over the last decades, Ukrainian ultra-high net worth individuals (UHNWI) have got used to taking advantage of cross-border structuring of business. Service providers from Cyprus, the Netherlands, BVI, Panama ensured privacy of their principles. However, Ukraine is now making progress in providing the transparency of businesses and their owners in accordance with recent global trends. These efforts are aimed at eliminating nominee shareholders’ services, fighting corruption and preventing money laundering. The first step in this regard was made in 2014 when Ukraine introduced the requirement to disclose information about ultimate beneficial owners (UBO) of companies in the State Registry of Legal Entities and Private Entrepreneurs. Ukrainian legislation identifies UBOs as individuals who are able to exercise, directly or indirectly, decisive influence on the management or business activities of the company regardless of formal ownership. Publicly available on the website, the State Registry now contains personal information of UBOs. Notwithstanding that non-disclosure of the company’s UBO is subject to only administrative sanctions, it may lead to consequences, which are more significant. No reputable partner will engage with a company without knowing who stands behind it. Moreover, foreign banks are unwilling to open accounts or accept transfers from unidentified entities, as they are obliged by their governments to conduct financial monitoring. Сompliance procedures observed by Ukrainian banks, however, are known to be less comprehensive compared to banks in the EU. Furthemore, in April 2016 Ukrainian President Poroshenko established a Special Task Group with the aim of drafting a deoffshorisation bill that will counteract the reduction of the tax base and profit shifting abroad. Such steps are taken with the view of Ukraine’s obligations to join BEPS (Base Erosion and Profit Shifting) Action Plan and Common Reporting Standard (CRS). While some draft laws on implementation of four steps of BEPS already have been presented to the Ukrainian Parliament, preparation to join the CRS Convention is unlikely to take less than a couple of years. It is worth mentioning that automatic exchange under the CRS concerns the data on not only bank accounts of UHNWI, but also the information about trusts and foundations. This enables full transparency of their UBOs. Notwithstanding that Ukraine will need some time to adjust its legislation before joining the CRS, the countries that started exchange of tax information in 2017, are accumulating information on UBOs from other countries that have not joined the CRS. As soon as Ukraine joins the Convention, its tax authorities will receive information accumulated through previous years. According to the OECD’s website, 101 countries have already assumed obligations to participate in an automatic exchange, including those, which are popular for cross-border structuring among Ukrainian UHNWI. Therefore, the impact of CRS on UHNWI could not be underestimated, because as soon as Ukraine joins the CRS, Cyprus, the Netherlands, BVI, Belize and others will send the collected information to the Ukrainian tax authorities. The new electronic declaration system for politically exposed persons as introduced in 2016 promotes fighting corruption as one of the key goals to be achieved before visa-free travel to the EU is permitted. State officials have already filed their declaration for 2015, and declarations for 2016 will be submitted before 1 April 2017. The National Agency for Prevention of Corruption, which is authorized to control the accuracy and completeness of the submitted data, as well as compliance with deadlines, approved the procedure of such control on 10 February 2017. According to it, the Agency will use all available information from the Internet, state registers, state and local authorities, law-enforcement bodies, individuals and legal entities to review the assets of persons, conflicts of interest and signs of illegal enrichment. Individuals and companies in Ukraine are still facing difficulties connected to strict currency regulation. Active legislative rules prohibits individuals and legal entities from investing funds from Ukraine in foreign countries without an NBU license. Violation of this rule may result in a fine in the amount of invested currency. However, due to the financial situation in Ukraine, the NBU has banned individuals from transferring money from Ukraine to foreign accounts or investing abroad and limited legal entities in investing abroad to the sum of USD 50,000 per month. While earlier the NBU used to extend the currency restrictions every 6 months, the latest order of NBU envisages an undefined term of restrictions, as they act until a separate order of the NBU. On 23 February 2017, the NBU abolished the necessity for individuals to obtain licenses for investing abroad and depositing money on accounts in cases, when funds did not originate not from Ukraine. Henceforth, UHNWI that have funds abroad can proceed with opening bank accounts and purchasing assets directly in their name without delay and bureaucracy connected to old-fashioned licensing. This relief gives hope for future liberalization of currency regulation in Ukraine. The aim of the NBU’s banking sector reform was aimed, among other things, at the transparency of banks’ business and the ownership structure of banks and has led to the liquidation of more than 90 commercial banks in Ukraine since 2014. As the biggest Ukrainian bank PrivatBank was nationalized at the end of 2016, the state now controls the majority of the banking sector. According to current legislation, acquisition of a significant interest in a Ukrainian bank requires obtaining approval from the NBU. Before issuing such approval, the NBU analyses the transparency of the planned ownership structure, reputation of applying UBOs and management, clear source of income of the buyers. Failure to provide the NBU with information on key shareholders may result in the forced liquidation of a bank. Tax residents of Ukraine pay tax on their income with no regard to the country of source. A rate of 18% for income tax applies to any income, including dividends (except for dividends from corporations that are taxed at 5%), interest and royalties. In addition, a military duty was introduced in Ukraine since the time that the armed conflict in the Donbass region began. A rate of 1.5% is applicable to the worldwide income of Ukrainian tax residents. The income of tax residents from the disposal of real estate is taxed at 0% when the following three conditions are met: (i) the transaction is the first of the seller during a tax year; (ii) real estate that has been in ownership for not less than three years prior to disposal; (iii) real estate is of a specific type. In other cases, such income is taxed at 5%. A rate of 18% is applied to income from the disposal of real estate of non-residents. There are two types of succession: intestacy and testamentary succession. Intestacy takes place if a devisor has not left a valid will and testament or if the devisor left a will but it was quashed by a court or if the heirs waived their rights to inheritance. Testamentary succession means that a devisor has left a will, which defines the persons that can take part in the succession process. The provision regarding forced heirs stipulates that minors or disabled children, spouses or parents shall, in any case, inherit at least a half of the property they would receive in the absence of the last will.